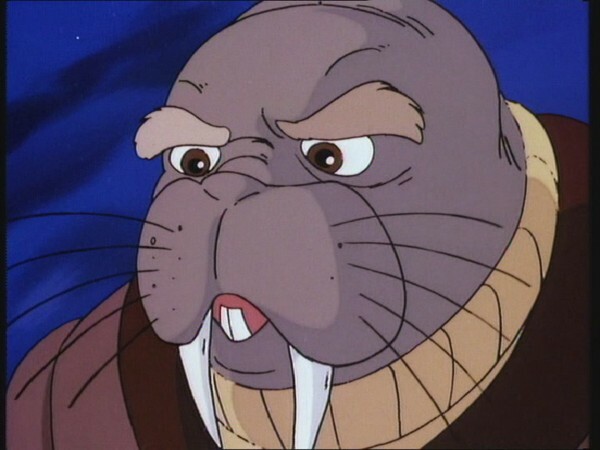 TURMAGAR, the TUSKA, a walrus-like humanoid, crash-lands his Gomplin at the Cats’ Lair and asks for help. A GIANT TECHNOPEDE threatens his country’s water supplies. Leaving PANTHRO and the THUNDERKITTENS behind to repair the GOMPLIN, LION-O and the other THUNDERCATS take TURMAGAR back to Tuskania in the ThunderTank. During the journey, LION-O has to rescue TYGRA from a hypnotic VAMPIRE MERMAID. When they arrive, the THUNDERCATS confront the GIANT TECHNOPEDE. The balance of the battle is swung in LION-O’s favor only when PANTHRO and the THUNDERKITTENS arrive on the repaired Gomplin. The mission is accomplished; the water supplies saved. The ThunderCats’ mission to save Tuskania’s water supplies reminds us of the importance of our environment’s natural resources. Water, in all its forms, whether as ocean, river, rain, dew, or frost, nourishes the life-giving potential of the earth. It is one of the symbolic four basic elements which once were thought to compose the physical universe: Earth, Air, Fire, and Water. Because water is so fundamental and at times so plentiful, we can be deluded and take it and our other natural resources for granted. Like Tygra, who was mesmerized by the Mermaid, we can be lulled into complacency regarding the beneficence of our environmental system. But we know in this age of environmental awareness that we must learn to respect our natural resources more and take measures to safeguard against their depletion. Although on paper the episode has a paper-thin plot, “Turmagar the Tuska” nonetheless works as a very exciting, action-based episode. 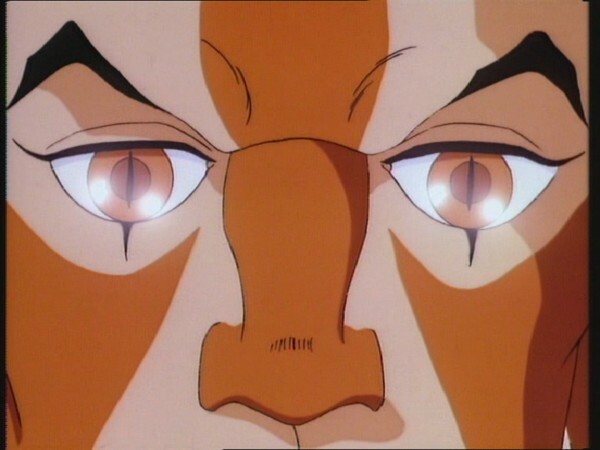 In fact, I would go so far as to say that this episode is one of the most visually spectacular of the whole of ThunderCats’ first season, with beautiful animation, direction, and action sequences; and it is these elements more than anything present in the plot or dialogue that make this episode stand out as a triumphant testament to how visually enthralling ThunderCats could be! As previously stated, this episode features a very straightforward plot. 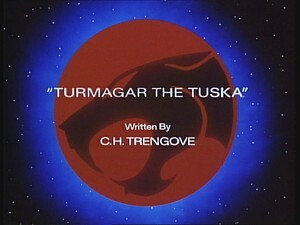 Approached by Turmagar, a senior figure from a race known as the Tuskas, to defend their people and their territory from a fearsome, technological beast, the ThunderCats have to fight their way through a variety of perils before arriving at Tuskania to face the Technopede in a climactic battle. 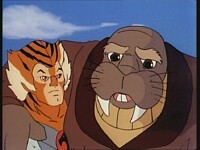 After being established on Third Earth for some time now, it is interesting to see the ThunderCats encountering beings and races on their adopted planet that they still have not encountered before, and it is worth noting that the Tuskas are different from many of the other races that the ThunderCats have come into contact with. Unlike, for example, the Berbils or the Wollos, the Tuskas would appear to be a race of warrior beings who are generally capable of defending themselves, yet are unable to best the firepower and sheer enormity of the Technopede. As such, the Tuskas would appear to be a race much closer to, say, the Warrior Maidens than some of the other more diminutive or helpless races that the ThunderCats have befriended. 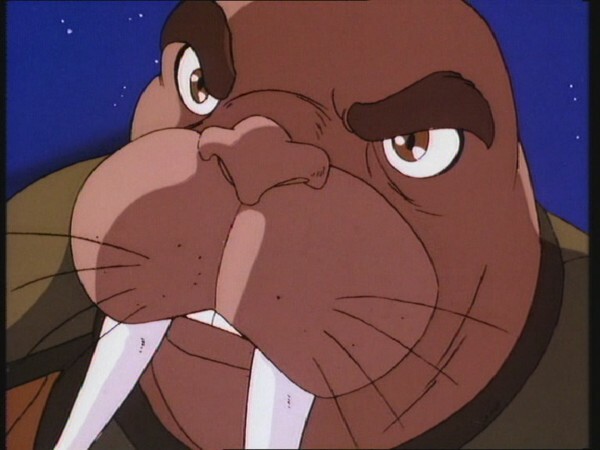 Another interesting note is that, in this instance, even though the Tuskas have never encountered the ThunderCats before, they are the ones to seek out our feline heroes and ask for aid, thus showing how the ThunderCats’ reputations have spread, and how they have come to be trusted by the initially suspicious peoples of Third Earth. In many ways, the structure of this episode is quite similar to the one that (at least in Production Order) immediately precedes it, “Return of the Driller”. That episode also boasted quite a basic plot, enhanced by a string of largely unconnected action sequences. 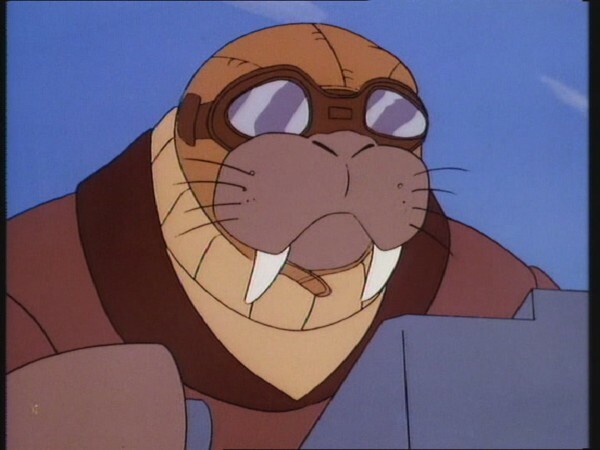 In “Return of the Driller” the ThunderCats, traveling in the ThunderTank, encounter a number of perils attempting to return the Sponge Fog to Cats’ Lair; and in “Turmagar the Tuska”, a number of dangers are encountered whilst journeying to Tuskania in the ThunderTank. The two episodes are structurally very similar. However, where “Turmagar the Tuska” manages to outdo its predecessor is in the quality of the action sequences themselves, which (thanks largely to the outstanding animation and brilliant direction) present a very tangible sense of threat. Another area where “Turmagar” outshines the previous episode is in terms of its climax. Whilst in “Return of the Driller”, the scene of the ThunderCats completing their mission and neutralizing the acid attacking Cats’ Lair is very brief and feels like an anticlimax compared to what has gone before, in this episode the undeniable highlight is the ThunderCats’ battle with the Giant Technopede. In fact, the battle itself is something of a culmination of this episode’s greatest strength—gripping, engaging, beautifully animated action sequences. 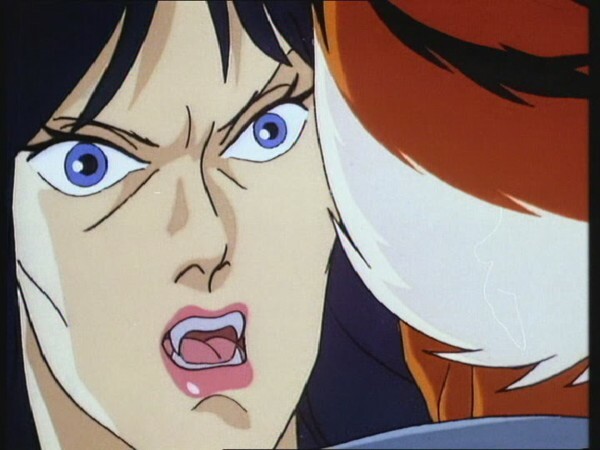 In this episode, the Japanese animation influence that fuels ThunderCats is very much in evidence, not just in terms of the animation style, but also in terms of the sheer depth and detail of much of the artwork. 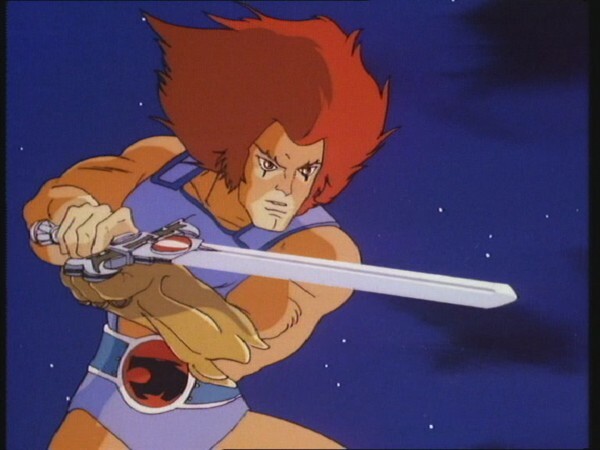 Much of the animation of the ThunderCats themselves is shaded to show the casting of shadow, which is always a way of defining the quality of an episode’s animation, and all of the ThunderCats’ movements, particularly during fast-paced action sequences, are fluid, detailed, full of motion and choreographed to perfection. The special effects are bright and believable, the action is fast-paced and high-octane, and throughout this episode it is easy to see how this series became such a firm favorite with fans of action, adventure and visual excitement in animation. In terms of visuals, this episode is nigh on impossible to fault, and arguably would not be topped until the show’s second season. Although straightforward in plot, one interesting little touch utilized in “Turmagar the Tuska” is the scene where Tygra is enchanted and captured by the Vampire Mermaid. Given that Tygra is shown to possess great wisdom and intellect, as well as great mind power as showcased in the fourth part of Lion-O’s Anointment Trials, it is consistently surprising that Tygra should be the one who is so susceptible to outside influences, such as Mumm-Ra’s hallucinogenic fruit in “The Garden of Delights”, the Keystone in “Crystal Canyon”, and, in this episode, the Vampire Mermaid. That Tygra should fall victim to her siren song is actually a lovely little character touch that is, of course, consistent with Tygra’s susceptibility to these aforementioned influences, yet it is always worth noting how contradictory this trait is when viewed in context with his abilities and personality otherwise. It has to be stated that “Turmagar the Tuska” is not a great masterpiece of scriptwriting; the plot is not particularly inspired, the dialogue is forgettable, and to a large extent it is merely an (albeit superior) rehash of the episode that precedes it. And yet, somehow the beauty of the animation, the pace and engaging nature of the action, the sense of danger and the sense of excitement that permeate this episode lift it to a level that make for captivating viewing. This episode is one of my favorites, and is showcase for much of what made ThunderCats a favorite for so many back in the 1980s. 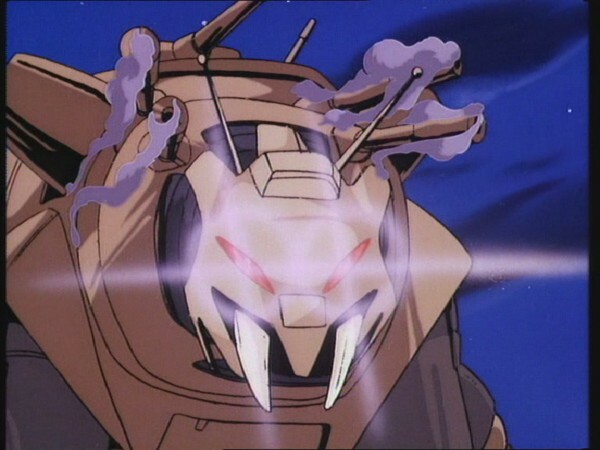 This episode serves as a great showcase for the Thundertank’s aquatic abilities. However, no explanation is given for the special ramp used by the Tank in this episode to take to the water! 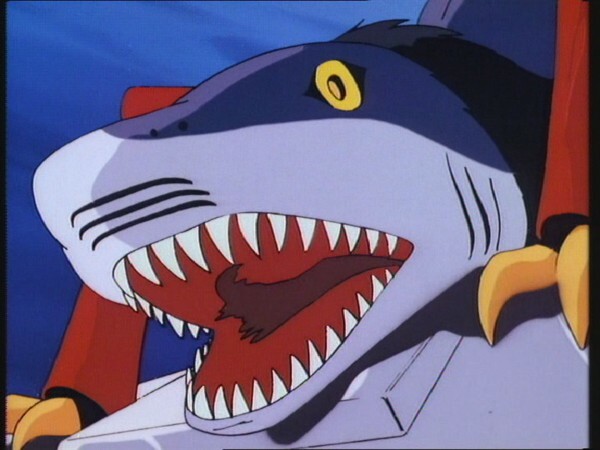 This episode marks a return appearance for the Black Widow Shark, last seen swimming in the River of Despair in “The Time Capsule”. Her presence here in the open ocean is a bit odd, and also a touch ironic, since she was absent from the River of Despair in “Return of the Driller”. The weapons carried by the Tuska Warriors in this episode are referred to the script as “Electro-Muskets”, which fire “Electro-Shells”. Also, the Technopede is described in the script as firing “Star Shells”. An interesting concept in the original script has Tygra, instead of leaping off of the Technopede, pressing a button on his belt that transforms his shoulder sleeves into a hang glider’s wings, gliding him safely to the ground! 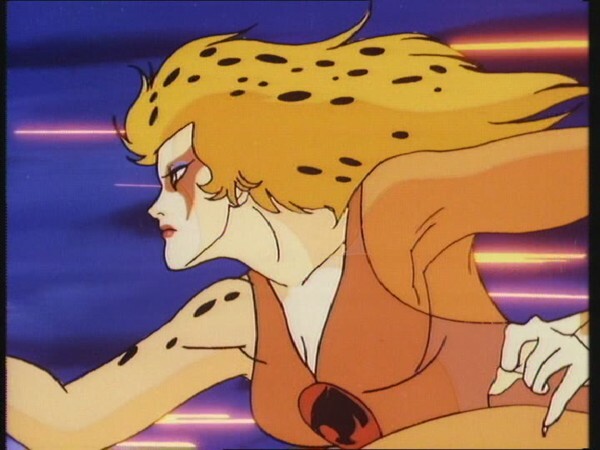 The final battle with the Technopede features the series’ most complete take of Cheetara’s theme music, including the rarely heard guitar solo! The Giant Technopede makes a return appearance in the “Mechanical Plague”, at which point Panthro is able to take it down all by himself! 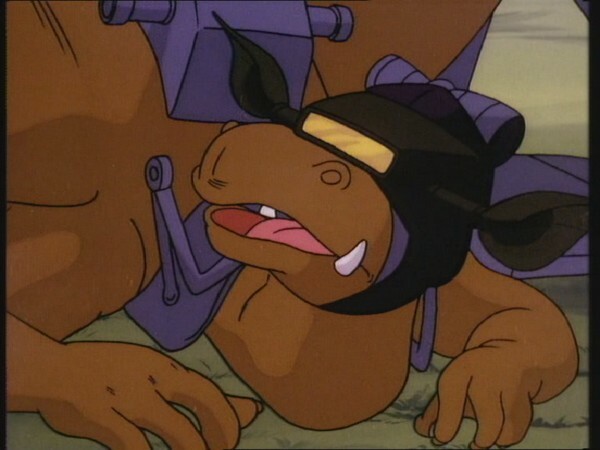 Even though this episode was based around the character of Turmagar, the ThunderCats toyline produced by LJN featured an action figure of a generic Tuska Warrior instead of the star of this episode. This is writer C.H. 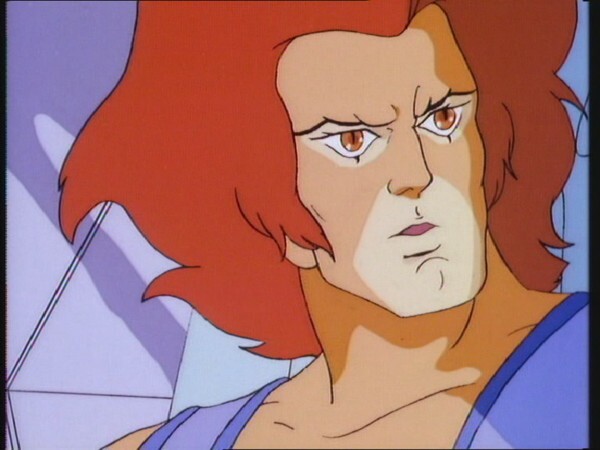 (Chris) Trengove’s first ThunderCats episode. 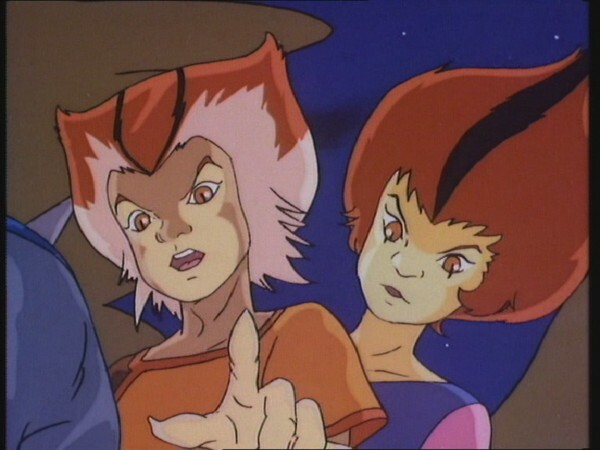 In addition to ThunderCats, Trengrove would work on a diverse range of other animated series, including SilverHawks, Peter Pan and the Pirates, The Legends of Treasure Island, Bob the Builder, The Real Adventures of Jonny Quest and Lavender Castle.